The idea of Glitzkoin is to bring transparency and simplicity to the diamond industry. It integrates the conventional diamond industry with the latest decentralized internet value system. Evaluations and assessments will no longer be done by guesses and hunches. GLITZKOIN seeks to transform the diamond industry by diminishing barriers, increasing coordination, and instilling trust in cross-border transactions for the diamond industry. High utility blockchain that, provides a win-win trading platform for both diamond buyers and sellers. Detailed records are maintained in a tamper proof environment. We aim to build a blockchain based open ecosystem for the diamond industry where all the trade in diamonds can be conducted and coordinated. - Posts shorter than 80 characters will not be counted. - Posts must be constructive and on-topic. Spamming, low quality, copy-paste and off topic posts will not be counted. - Write an article about Glitzkoin project in English, with at least 500 words and publish it publicly on Medium. - Join our official Telegram group(link) . 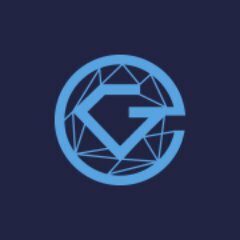 - Must follow official Glitzkoin twitter page. - Must have more than 250 twitter followers. - The retweet should remain posted till the end of the token sale. -Maximum 5 videos will be accounted per participant. - Posts shorter than 200 characters will not be counted. Post your work weekly at our Bitcointalk Bounty Thread only. Accounting will be done weekly and start on Saturday, ending on Friday.